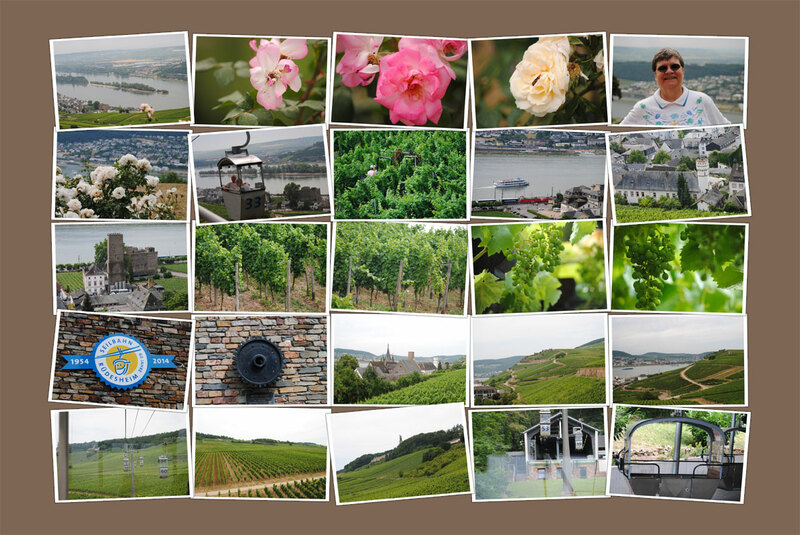 A highlight of any visit to Rüdesheim is the ride in a cable car up to the Germania (Niederwald) Monument. 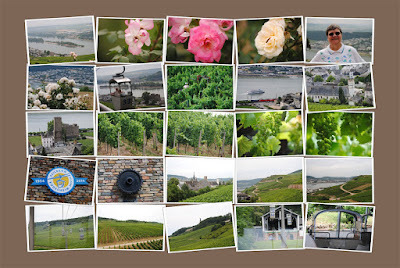 The awe-inspiring panoramic views over Rüdesheim's oldtown and the shimmering waters of the Rhine dotted with green isles make the smooth glide over the vineyards a very special experience. The entire visit took about an hour - 15 minutes each way by cable car and 30 minutes on top to go to the monument and take photos of the surrounding area. 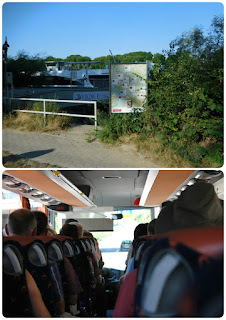 The cost was not included in our excursion, it was 7,00 euro round-trip per person. 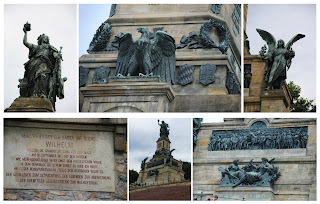 The monument was constructed to commemorate the foundation of the German Empire (Unification of Germany) after the end of the Franco-Prussian War. 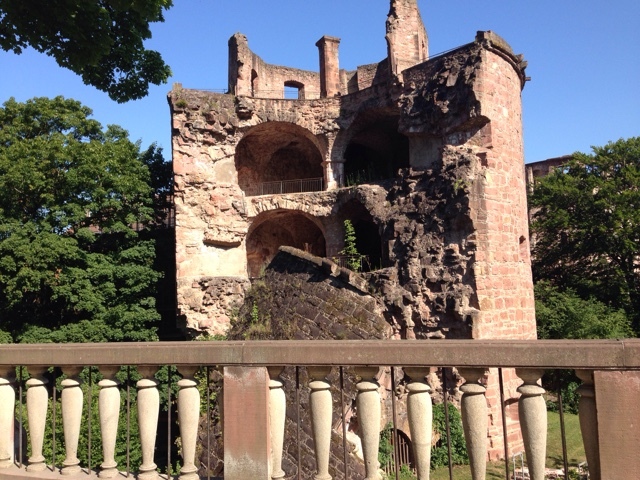 It overlooks the valley of the Rhine and was built in the 1870/80s. The central figure is the 10.5 metres (34 ft) tall Germania figure. In the sculptured impression, Germania holds the recovered crown of the emperor in the right hand and in the left the Imperial Sword. 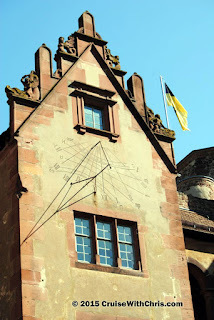 Following our visit to Siegfried's Museum of Mechanical Instruments, we walked a short distance to the Rüdesheimer Schloss Hotel where tables were awaiting us in the courtyard. Avalon Artistry II crew had arranged for a special treat, tasting of a brandy-based coffee, known as Rüdesheimer coffee. 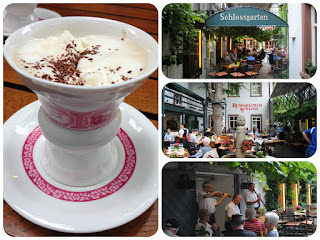 Rüdesheimer coffee didn’t come on the scene until 1957, when German TV chef Hans Karl Adam created a drink that combined Asbach brandy, coffee, sweetened whipped cream and dark-chocolate shavings. Flames are involved. The brandy is poured in first and ignited, coffee is poured on top to put out the flames. A large amount of whipped cream is added and the chocolate shavings add the final touch. 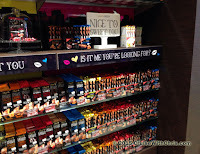 You have a treat that even my husband, who is not a coffee drinker, enjoyed. In 1892, Hugo Asbach started making a brandy here that he promised would rival the best French cognac. Over the years, Asbach brandy has won a slew of awards. It’s one of Germany’s most famous spirits. We were entertained with live music during our visit as well. Owner,Heinrich Breuer, welcomed us and told us about the history behind the famous coffee. If you liked, you could purchase the complete coffee-making kit, including the mugs, to take home (several folks did). 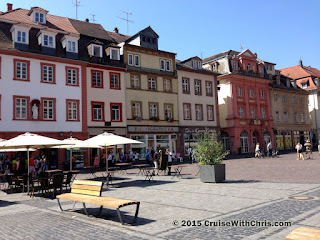 We sailed from Mainz, Germany at 5:00 AM arriving in Rüdesheim around 8:00 AM. 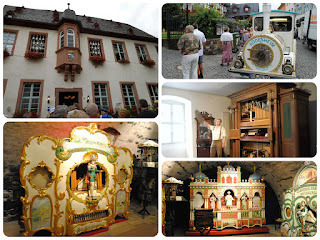 Following breakfast, we boarded the mini City Train for the short ride to Siegfried’s Mechanical Music Museum. Our Cruise Director told us this would be one of our favorite excursions, and he was correct. 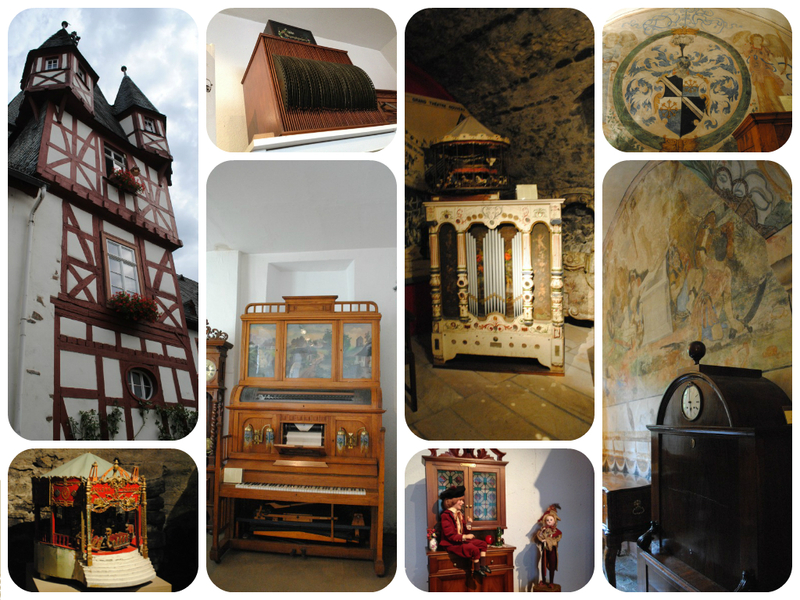 The "Siegfried Mechanisches Musikkabinett" is the first museum collection in Germany dedicated to self-playing musical instruments. From delicate musical boxes to a gigantic piano-orchestration, there are approximately 350 automatic instruments exhibiting one of the largest and finest collections from the 18th to the 20th century. The museum also includes tools and machines for manufacturing barrel organs, cardboard music, piano rolls and musical box plates. A snuff box with a musical songbird which was produced in the first half of the 19th Century by J. Bruguier in Geneva. When the mechanism is activated, it opens the oval lid and a tiny bird appears, moving its beak and flapping its wings. Bernhard Dufner’s band of 27 automatic dolls, each one playing a different instrument. This is the largest Doll Automaton calliope that was ever built. The Hupfeld phono Liszt Violina are amazing mechanical violins. Because these instruments musically and technically surpassed all expectations they have been described as the eighth wonder of the world. 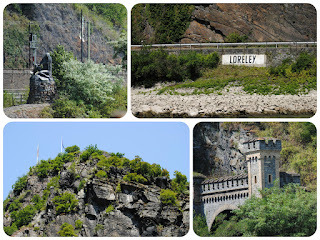 The Loreley is a 132m-high steep slate rock on the east bank of the river Rhine, near Sankt Goarshausen in Rheinland-Pfalz, Germany. 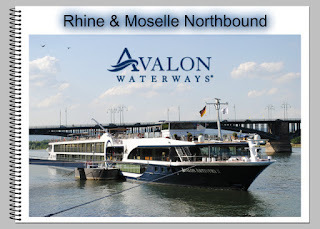 It marks the narrowest part of the river between Switzerland and the North Sea, and is the most famous feature of the Rhine Gorge, a 65 km section of the river between Koblenz and Bingen that was added to the UNESCO World Heritage Sites in June 2002. A very strong current and rocks below the waterline have caused many boat accidents there. She combs her golden hair;. Is the Lorelei's gruesome work. ~ Translation by Mark Twain 1880 - A Tramp Abroad. Hurricane Ignacio is the latest tropical cyclone in this busy 2015 eastern Pacific hurricane season to pose potential danger for the Hawaiian Islands. The Central Pacific Hurricane Center (CPHC) in Honolulu Hawaii predicts that Ignacio will still be a hurricane when it passes to the northeast of Hawaii in the next several days. SHIP IMPACT: Due to Hurricane Ignacio in the Pacific, Pride of America's itinerary for the cruise departing on August 29 has been adjusted to call on Nawiliwili on Sunday where the ship will overnight, followed by Hilo on Wednesday, Kahului on Thursday where the ship will overnight and returning to Honolulu on Saturday. On the forecast track, the center of Erika will move over the Dominican Republic this afternoon, move near the Turks and Caicos Islands tonight, and move near the central and northwestern Bahamas Saturday and Saturday night. Carnival, Norwegian, and Royal Caribbean Cruise Lines have all been impacted by the tropical storm. Please click on the following links for updated information. office products issued by the National Weather Service. Florida should monitor the progress of the remnants of Erika. at Grand Turk and Nassau. After the latest advisory, Tropical Storm Erika has dissipated in the Caribbean. While we will continue to keep a close eye on the track of the remnants of the storm, we will be operating our originally scheduled itineraries for the following ships departing today: Carnival Breeze will resume its Eastern Caribbean course and Carnival Valor will call on Nassau. Carnival Fascination departing from Jacksonville will not be able to call on Half Moon Cay since the tenders were sent away from the island to be safeguarded and will not return in time for our call. The ship will have an extended call in Nassau on Tuesday, September 1 from 8:00 AM to 5:00 PM and then proceed to Freeport on Wednesday, September 2 from 7:00 AM to 2:00 PM. Curacao Thursday and move its sea day to Friday. Cozumel, Ocho Rios and Nassau. 11 a.m. and 2 p.m. The ship will now depart at 3:30 p.m.
will take place between 11:00 a.m. and 2:00 p.m.
to spread into the central Bahamas this afternoon and tonight. 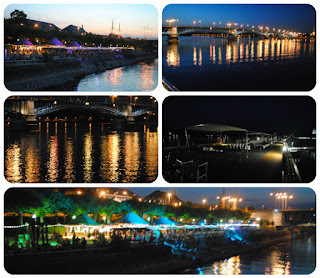 Artistry II was docked in the central area from where it was a 15 minute easy stroll to the core of the city. The ship remained docked there overnight. 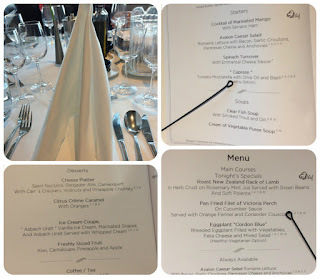 The evening program began with the usual Port Talk in the lounge at 6:30 PM, followed by dinner at 7:00 PM in the main dining room or 7:15 PM in the lounge for those signed up for the Bistro Dinner. Each evening the menu was posted outside the main dining room. 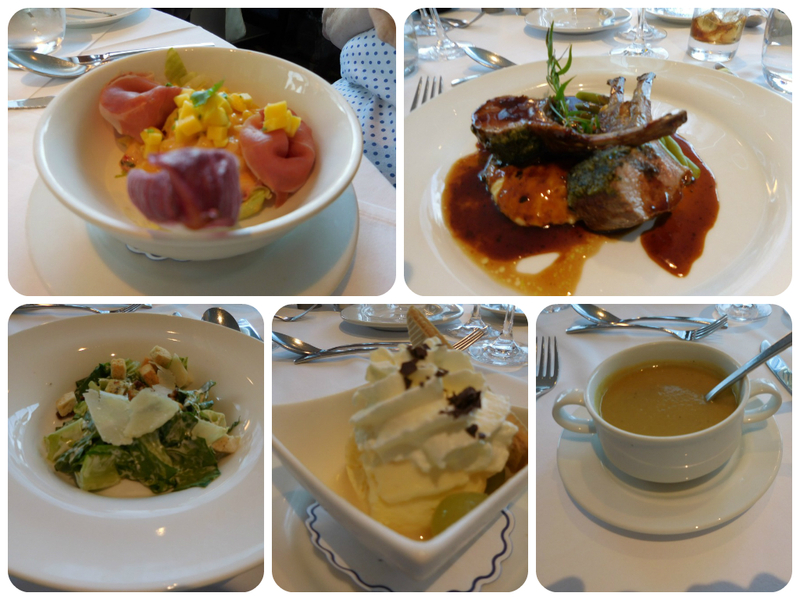 As with ocean cruising, the waiter brings you a menu and then you pick a starter, main entree, and dessert. We looked forward to entering the dining room to see what folded napkin creation had been created by the crew. As usual the dining room was open seating, which meant you could sit with the same people every night or find new table mates each time. There were also various size tables to pick from. Tonight's chef recommendations included Cocktail of Marinated Mango with Serrano Ham and Roast New Zealand Rack of Lamb. 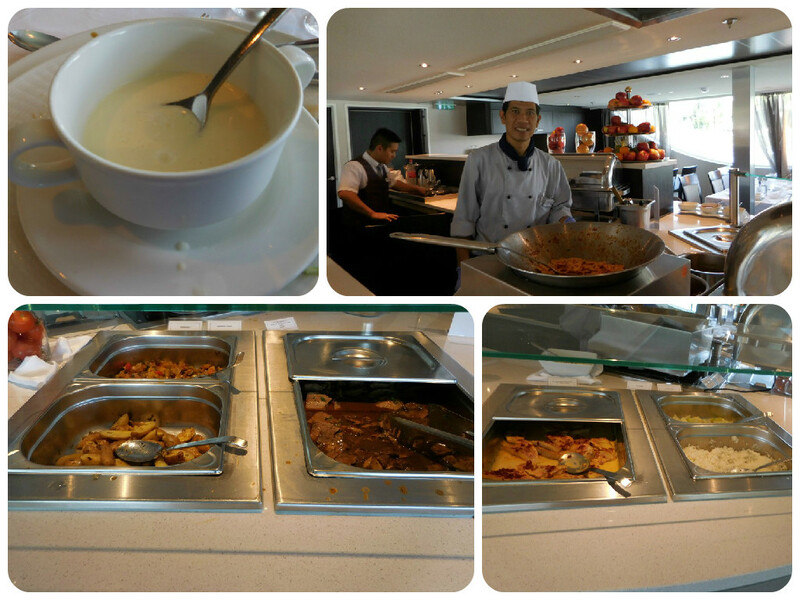 Soups choices were a Clear Fish Soup or Cream of Vegetable Puree. One of our favorite starters was the always available Caesar Salad. The ice cream creations were always a good selection for dessert. 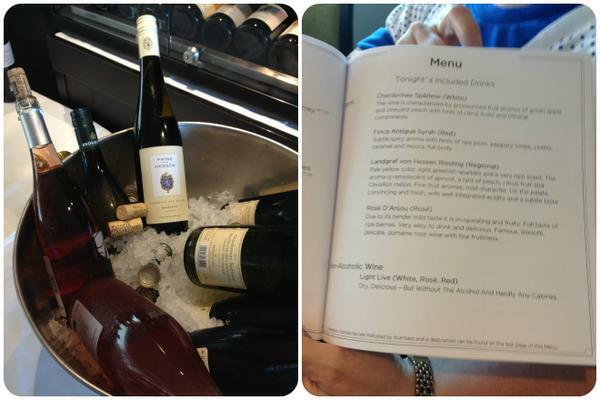 We may not have mentioned this previously, but every night the chef paired regional wines and beers with the menu. Tonight we had some regional German wines that were included. Select beers and soft drinks were also included with dinner. There were additional beers and after dinner drinks that could be purchased as well. Following dinner, entertainment was provided by Tom & Michael, two local musicians who performed upbeat tunes in the lounge. If you were still hungry, there was the usual Late Night Snack at 10:30 PM. 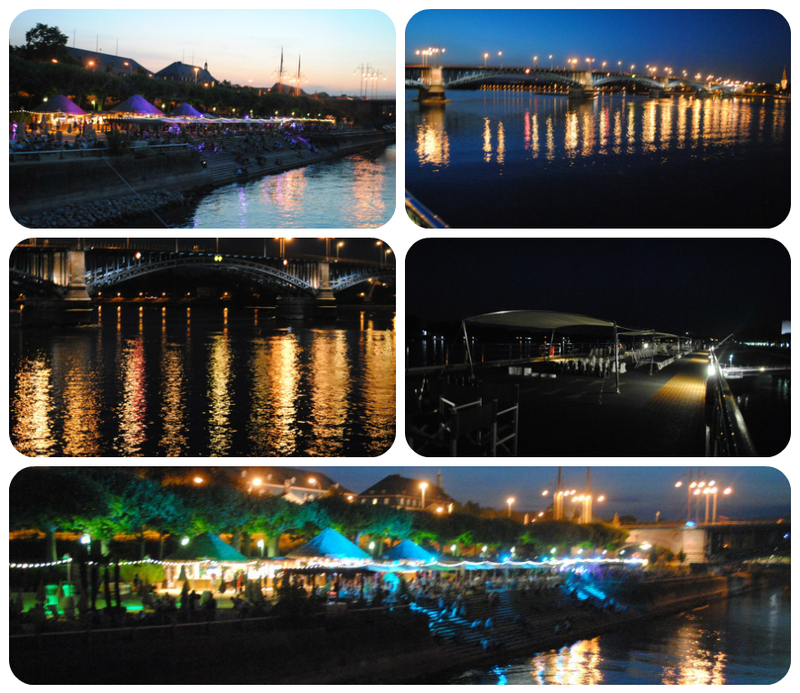 A local hangout was just across from where our ship was docked. You could listen to the music from the Sky Deck or join the party in person. For those used to ocean cruising, think of the onboard entertainment like one of the lounge shows. This is a much more intimate experience than the shows in the main theater of an ocean cruise ship. 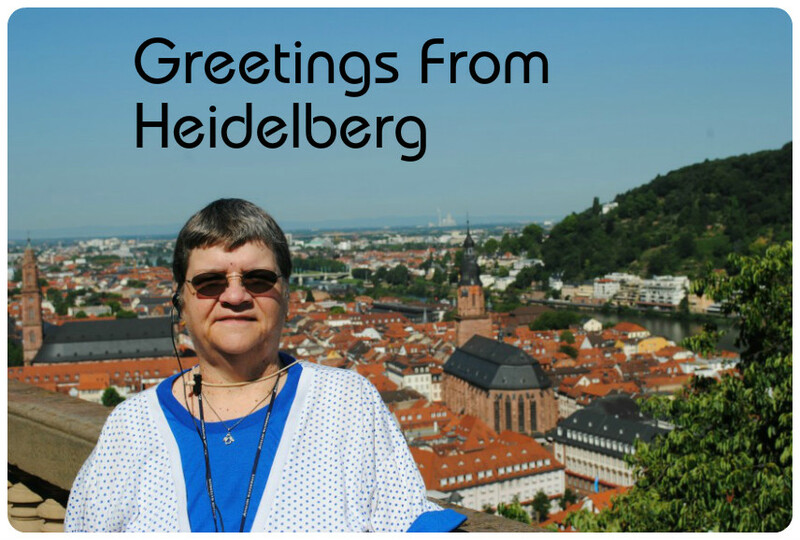 After all passengers returned from the morning excursion to Heidelberg, the Artistry II set sail for Mainz, Germany. The schedule allowed for up to 2.5 hours of individual touring of the city. 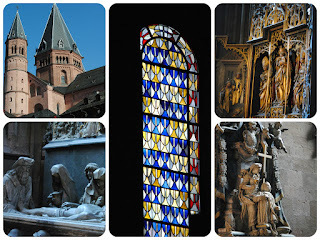 Possibilities included a stroll thru the old town center, a visit to the Gutenberg Museum, shopping, or our choice of visiting the Church of St. Stephen with its stained-glass windows by Marc Chagall. 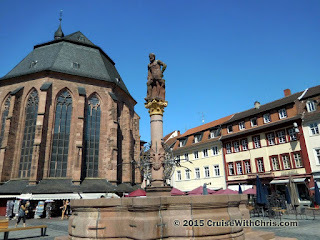 Johannes Gutenberg was born in early 1400s in Mainz, Germany. He would borrow money to setup a print shop and produce a 42-line Latin Bible. The process of using movable type in a cheap and efficient manner would change the world. 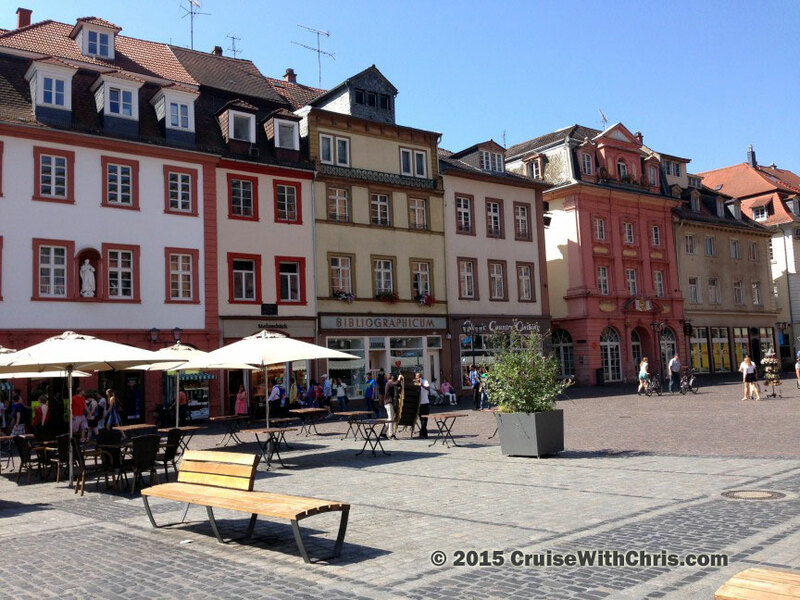 The Gutenberg Museum, in the heart of the old town center, has an original copy of the famous bible. The museum was only open until 5 PM so we had to skip visiting it in order to get to the church before it closed for the evening. The highlight of our visit to Mainz, was our visit to the Church of St. Stephen (Stephan) where we saw the gorgeous stained-glass windows of Marc Chagall. 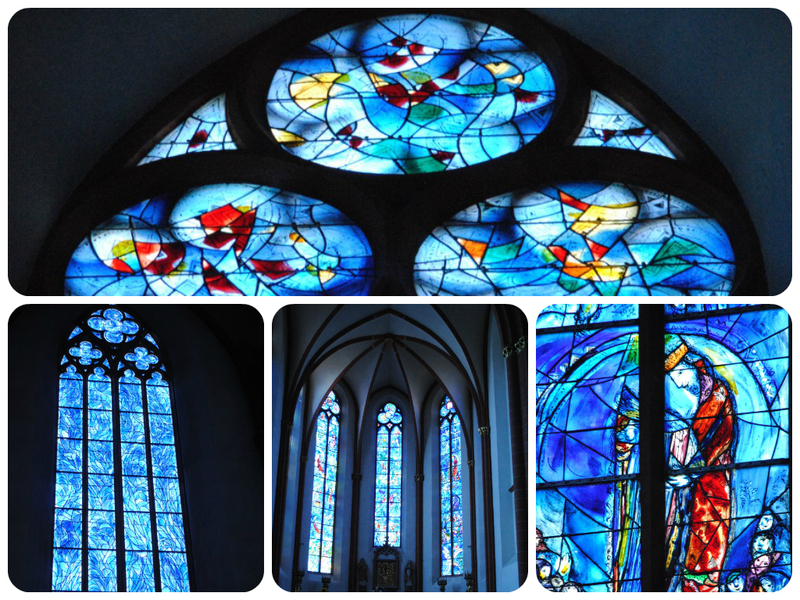 The Chagall choir windows in St. Stephan are unique in Germany. Between 1978 and his death in 1985, Russian Jewish artist Marc Chagall created nine stained-glass windows of scriptural figures in luminous blue. The figures depict scenes from the Old Testament. 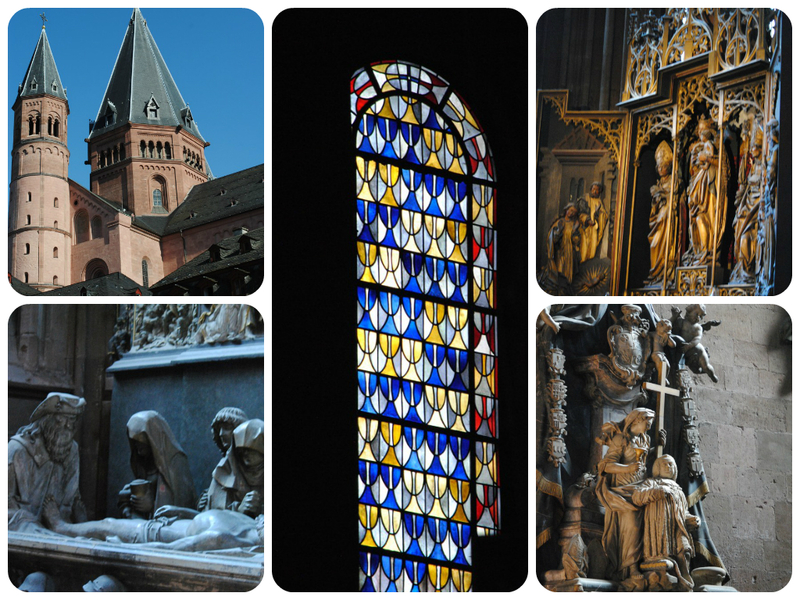 Mainz Cathedral or St. Martin's Cathedral is located near the historical center and market square of the city. Since it was only about a 20 minute walk back to our ship, we had decided to make that our final stop on our self-guided walking tour. This 1000-year-old Roman Catholic cathedral is predominantly Romanesque in style, but later exterior additions over many centuries have resulted in the appearance of various architectural influences seen today. 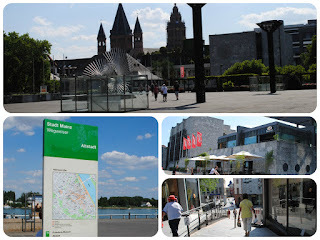 Mainz is a very easy city to explore on foot. If you only have a limited amount of time for exploration, like we did, we'd suggest picking one or more of the attractions mentioned here. The Artistry II is one of Avalon Waterways Suite Ships®. 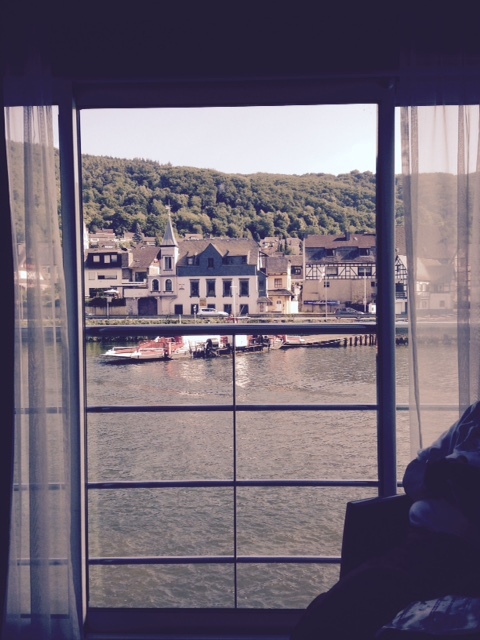 Avalon’s revolutionary Panorama Suites are the most unique accommodations in river cruising. Thirty percent larger than industry standard and featuring huge wall-to-wall, floor-to-ceiling windows, they're staterooms that feel like a balcony. Even the placement of the bed is distinct, so you won’t miss a single passing riverscape. 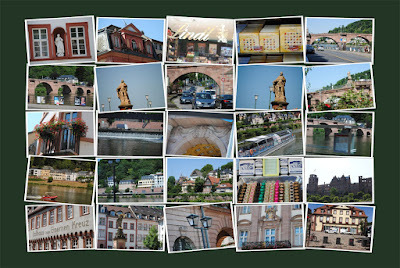 Here is one of those moments we captured during our Rhine & Moselle cruise. Panorama SuiteSM is 200 sq. 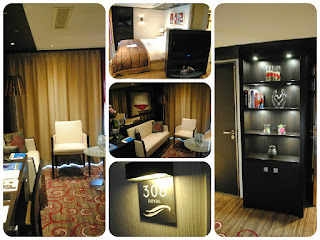 ft.
Our Panorama Suite was the last one on the port side, Cabin 326. This was a great location for me in the morning because I could run to the Club Lounge for a cup of coffee. You can hear the engine vibration when going thru locks or other maneuvers, but that wasn't disturbing. If you have the window open, you can get some fuel smell depending on how the wind is blowing. We had the opportunity to tour one of the two Royal Suites on Artistry II because it was not occupied during our cruise (due to a last-minute cancellation). 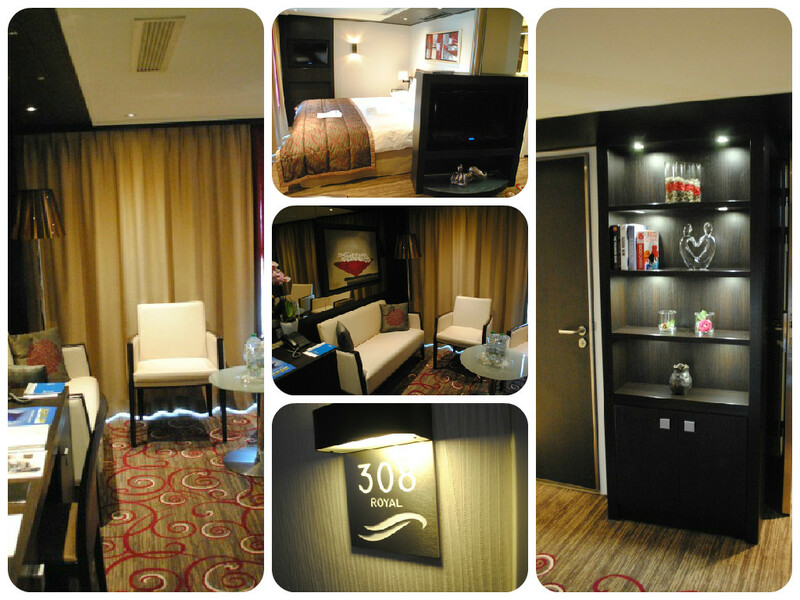 The Royal Suite was 50% larger than our stateroom. The major differences were the larger flat-screen TV, more sitting area, and the bathroom had a different configuration (including another sink which was separate from the shower). 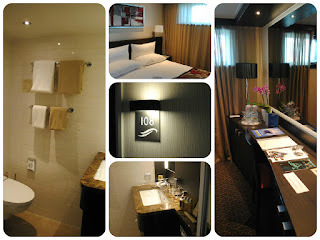 Deluxe Stateroom - 172 sq. ft. Even the standard staterooms on Artistry II are quite comfortable. When you compare that size cabin to most ocean cruise ships, that is equal or greater than the average standard / deluxe staterooms. 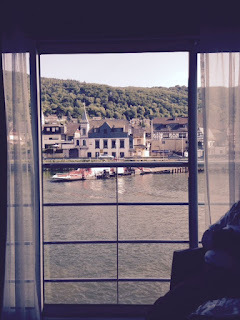 Missing from the Deluxe Stateroom are the sitting area and of course, the view. During the Rhine cruise, there were times where we were sailing that you'd want to have a view (such as when passing the castles). The Sky Deck or one of the lounges would provide the desired viewing area. 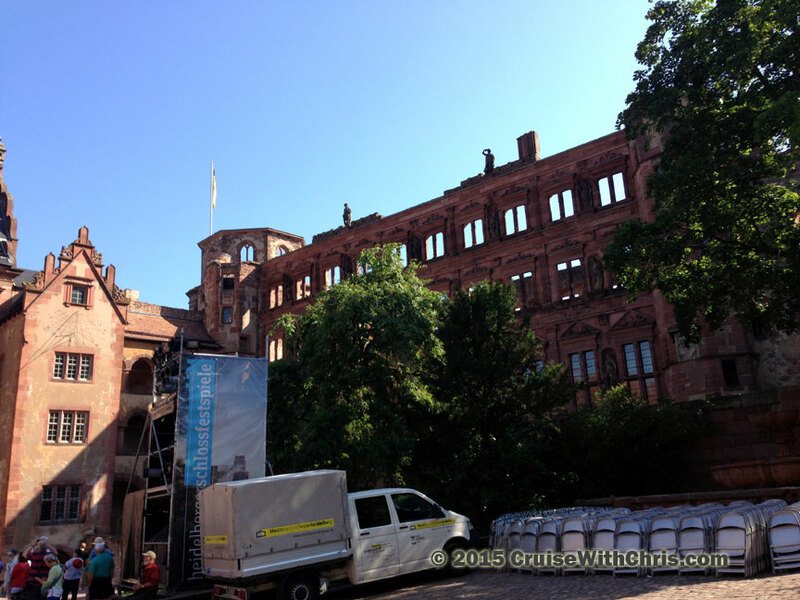 When we awoke, Avalon Artistry II was about to stop in Mannheim, Germany for what is known as a "technical stop". That means, it wasn't going to stay there long. The only reason for stopping was so that the motor coaches could meet the ship and pickup passengers for the morning excursion. 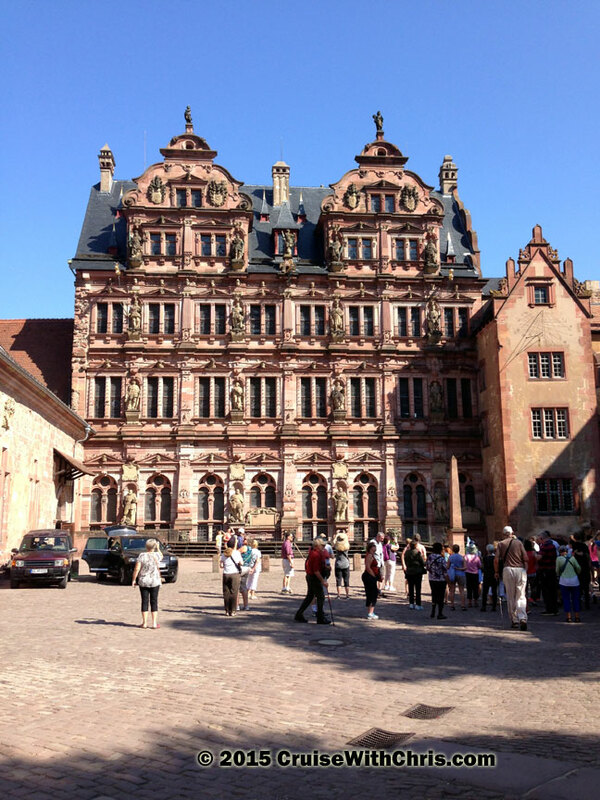 After touring Heidelberg Castle and the Old Town itself, it was time to re-board the motor coaches and seek out our ship. Since we last left her, she had moved to a different location: Gernsheim, Germany. Once again, this was to be another "technical stop", this time to pick up passengers from the tours. 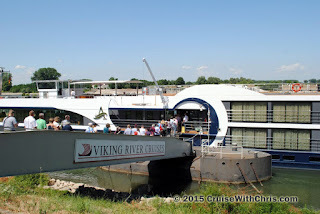 You may have noticed that passengers are re-boarding Avalon Artistry II using a Viking River Cruise ramp. 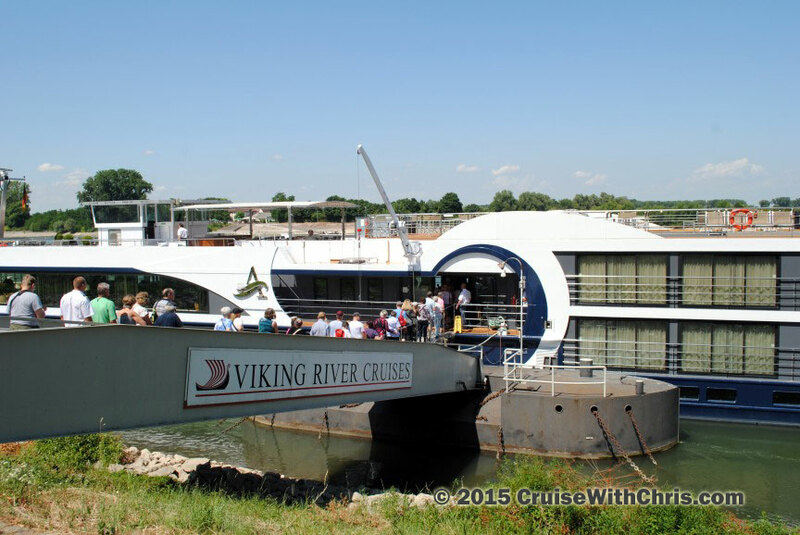 Much like the Old West, river cruise ships often tie up to the nearest dock while making their way along the river. This is all planned out in advance, however, so don't worry about having some other ship kick you out for parking in their spot. 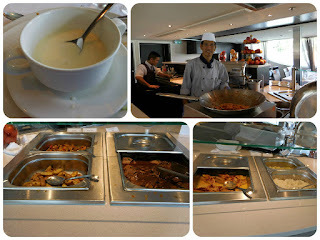 Today's buffet lunch included two soups: Cream of Broccoli and Cold Wine; Roast Leg of Suckling Pig; Braised Leg of Lamb; Steam Filet of Red Mullet; and Fettuccini Pasta. Of course, there were various salad and vegetable fixings as well. You could also order off the menu if you didn't like any of the above. While we dined in the main dining room, the Artistry II set sail for Mainz, Germany which would be our over-night stop. We'd arrive around 4 PM or so, in time to do some sightseeing at our leisure before the evening program started. After lunch, our Cruise Director had a briefing for travel agents. It was our opportunity to get any questions answered and learn more about Avalon Waterways. 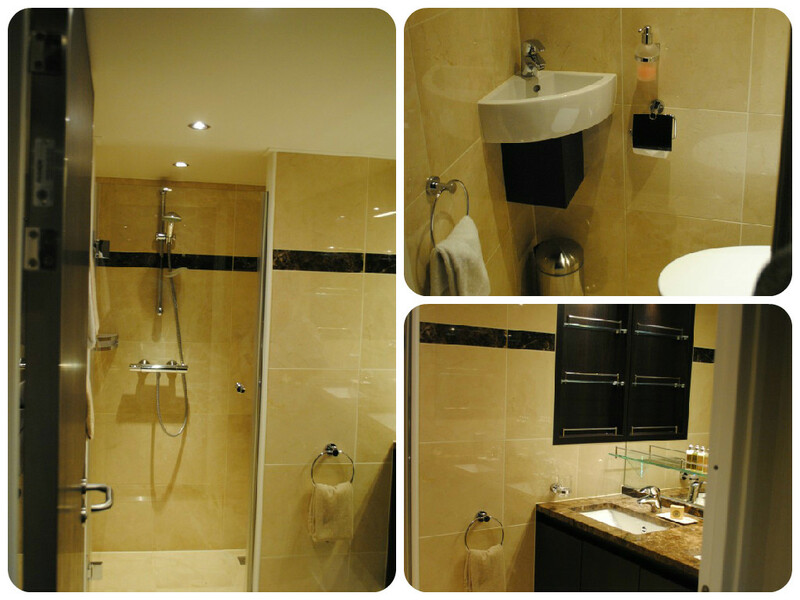 We were able to tour one of the Royal Suite cabins as well (since there had been a last minute cancellation). The next stop on our city tour was Marktplatz, the market place square in the heart of Heidelberg's Altstadt (Old Town). We had free time to explore at our leisure. 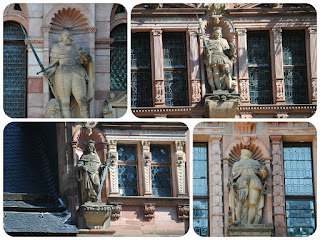 Beautiful attractions of Market Square include the overall area, the Town Hall, the Church of the Holy Spirit, the Ritter facade (Hauptstraße 178) and the facade of the Old Pharmacy (Hauptstraße 190). You can sit and enjoy a coffee by the Hercules fountain or browse through the various shops. We were fortunate to have clear blue skies as a background for our images of Old Town. One couldn't have asked for a better day. 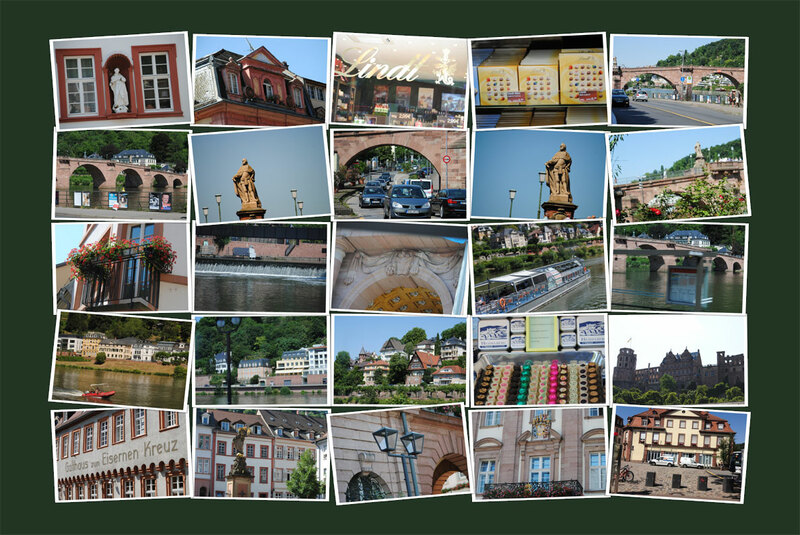 After doing some shopping and photography in Market Square, we had enough time to walk along the Neckar River to the Old Bridge. From there it was a short walk along the narrow cobblestone streets back to the Tourist Center, which was where our motor coach would return to pick us up. Just as breath-taking as the castle is from the city, so too is the city from the castle. 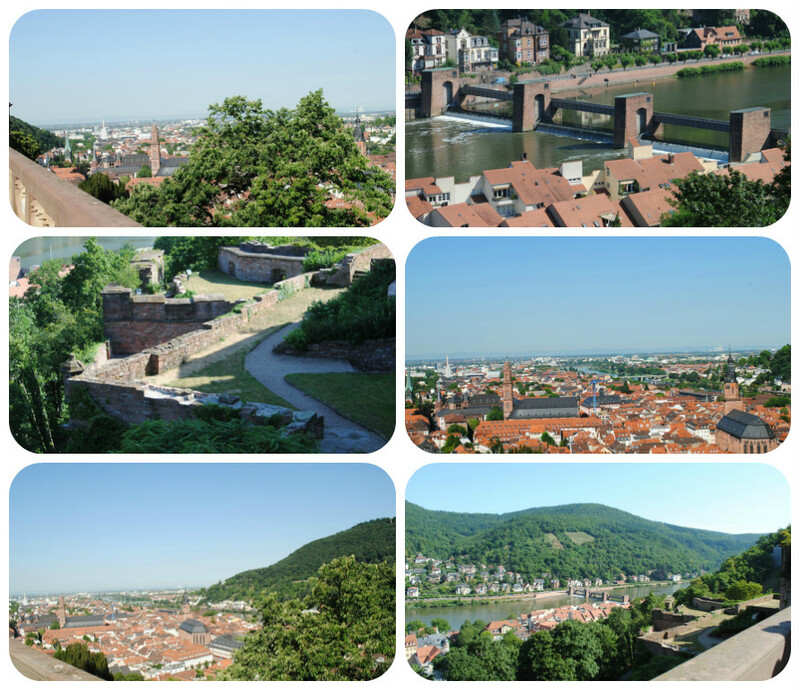 From either the Great Terrace or the gardens, one has an amazing view of Heidelberg, the Neckar River, and the Neckar valley far into the Rhine plain. On a clear day, Mannheim is even visible on the horizon. 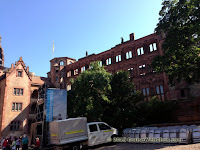 The most prominent building in the image above is the Church of the Holy Spirit which served two congregations (Protestant and Catholic) for a time and was the reason why the court removed to Mannheim. Did you know that the Catholic steeple had a cross while the Protestant one had a rooster? The Neckar is a 367-kilometre-long (228 mi) river in Germany, mainly flowing through the southwestern state of Baden-Württemberg, with a short section through Hesse. The Neckar is a major right tributary of the River Rhine. 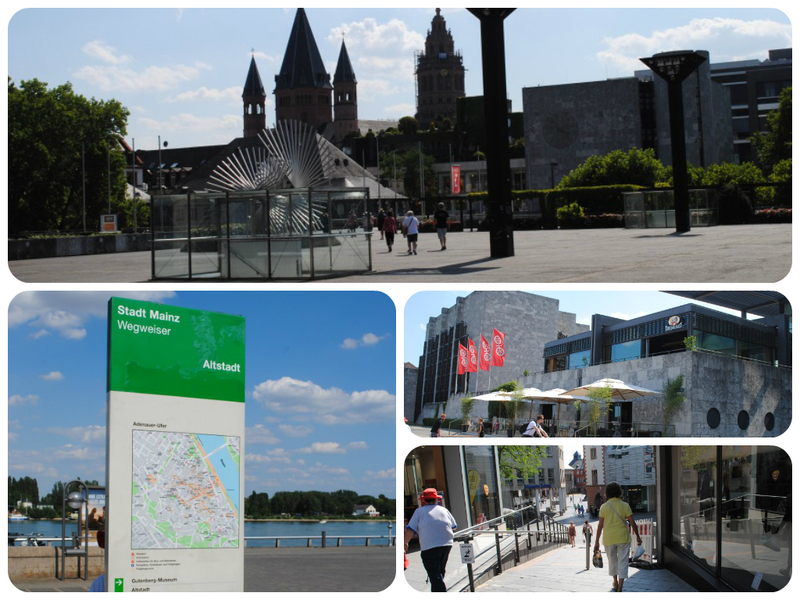 Our ship docked in Mannheim, Germany to allow passengers to disembark for excursions. Our morning excursion took us to Heidelberg, home to the oldest university in Germany, which was founded in 1386. 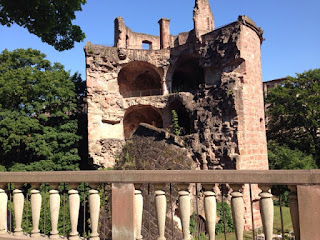 Here we visited the imposing ruins of HEIDELBERG CASTLE, towering magnificently over the city and among the most important Renaissance structures north of the Alps. 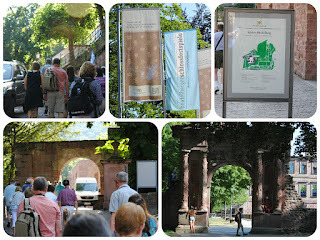 The triumphal arch known as Elisabeth's Gate, is located near the entrance. Tradition says the gate was built in a single night by Prince Elector Friedrich V in 1615 as a birthday present for his English princess, Elisabeth Stuart. The charming little gate was severely weather warn and was partly restored in 1949. 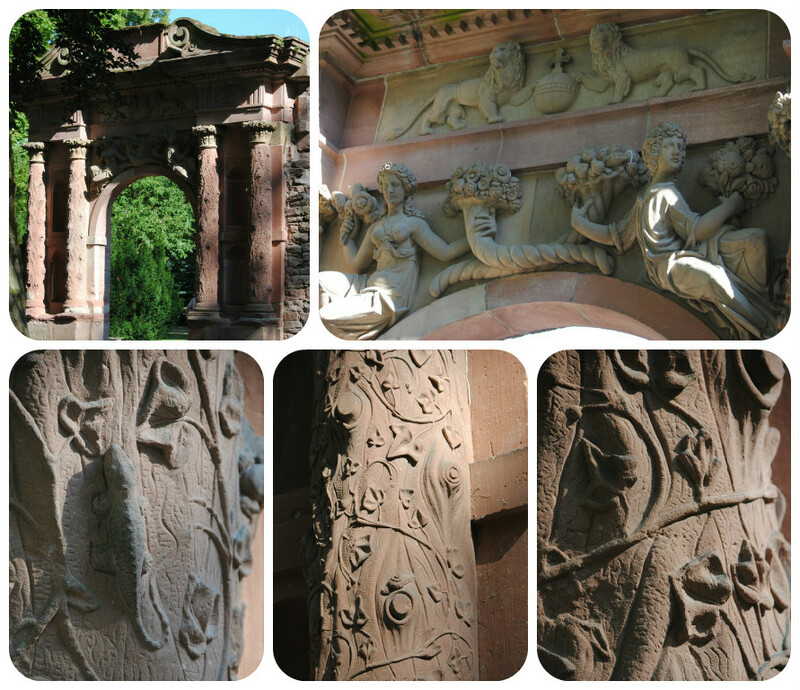 The unique pillars are noteworthy with their leaf work and artistic flowered capitols. 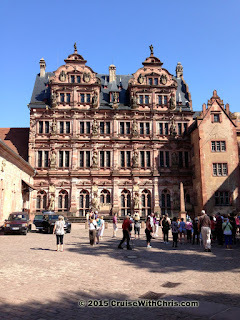 palace buildings of the German Renaissance. 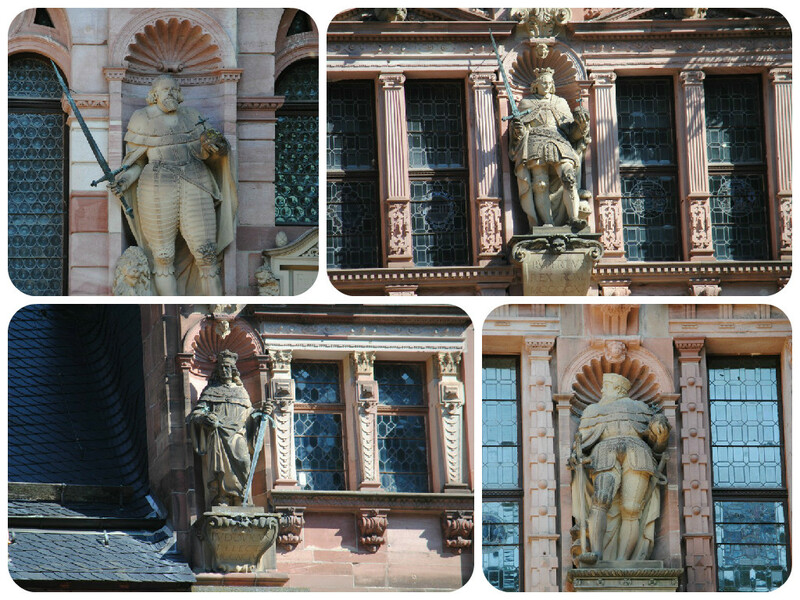 The ancestors of the palatine prince electors look down from the façade of Friedrichsbau. 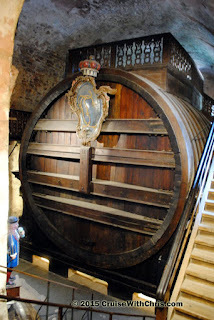 We also saw the famed Heidelberg Tun, the “World’s Largest Wine Barrel.” At nearly 23 feet high and 28 feet wide, the cask holds about 58,000 gallons of wine and has a dance floor built on top of it! After visiting the wine barrel, we next spent some time on the Great Terrace. We didn't have time to visit the interiors of any buildings or the gardens, so that will have to remain for a future visit. The view from there was spectacular, so we'll cover that in a separate post.